HiR Information Report: Balancing Hack: Amaze your co-workers! 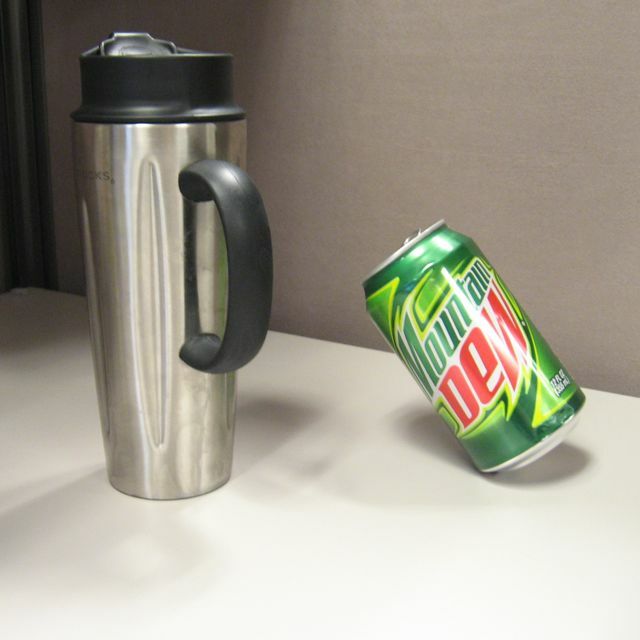 Next time you have a can of your favorite caffeine-packed beverage in a boring staff meeting, try this and see what the reaction is. The two rims found on the bottom of most 12oz soda cans makes them easy to stack, but also gives you an area to balance the can on. If the can is full, center of gravity will be on the outside of this rim and it will fall on its side. If the can is empty, there will be more weight (from the tall part of the can) outside this rim as well. 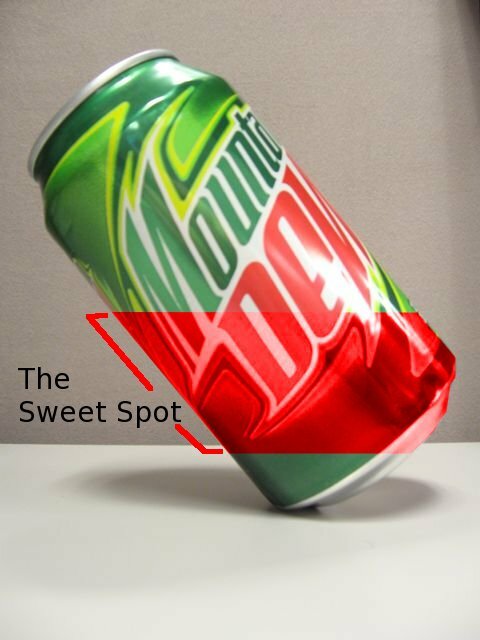 However, if the can has just the right amount of liquid in it, the center of gravity will actually shift to the area between the two rims, allowing the can to balance, and even roll around in a circle if you're careful! This is because the aluminum itself is relatively light compared to the can's contents.